Sony MHCV90DW mini system party speaker is designed under the Japanese concept of Muteki which means Soul Shaking Sound. Massive design works hand in hand with the huge sound profile that will fill your room and create a party. Bluetooth technology makes it easy to share your music wirelessly and with NFC support, it’s easy to pair your phone to the device. The Sony MHCV90DW Mini System was added to the Mini-Systems category in February 2018. 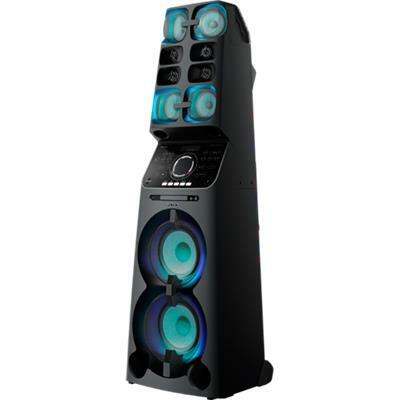 The lowest price GetPrice has found for the Sony MHCV90DW Mini System in Australia is $999.00 from Bing Lee. Other merchants who stock it are Bing Lee, Sony Store Online.